What sets Putler apart from other business reporting tools? 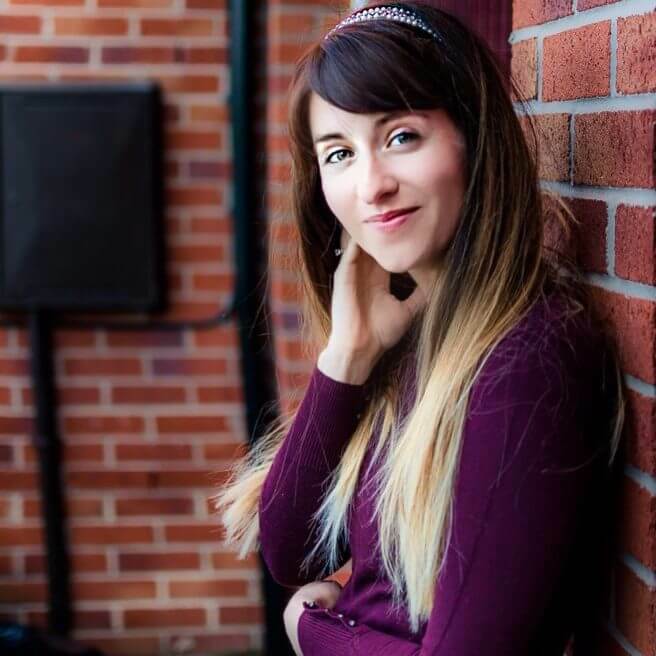 Have an online business? Then you very well know the pain of digging into data and the struggle of making the right decisions. Putler is like no other analytic tool you have ever tested. It is a tool that can pin-point the areas of your business that are a waste of time, and others that require more attention. Putler is a game changing business reporting tool. It provides clean, super quick and easy to use reports within seconds. 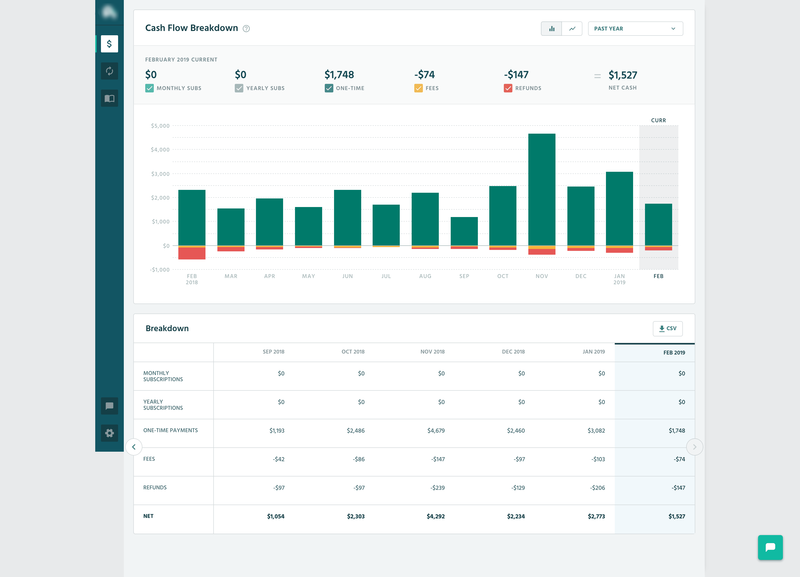 All other business reporting solutions cater to SaaS businesses, SaaS startups, recurring billing and subscriptions. They keep talking about MRR and churn and LTV. But choke up when they notice non recurring transactions in your order history. But Putler love e-commerce stores, online marketers and non-SaaS businesses. If you’re selling online, you can get powerful analysis tools with Putler. Putler understands one time transactions, recurring subscriptions, annual billings, refunds, cancellations, multiple line items in single transactions and a whole lot more. You will get lots of KPIs and reports that you will find immediately useful. Putler even covers the most important SaaS metrics. So if you do both recurring and non-recurring products, or if you are indeed a subscriptions only business, Putler will still be valuable to you. 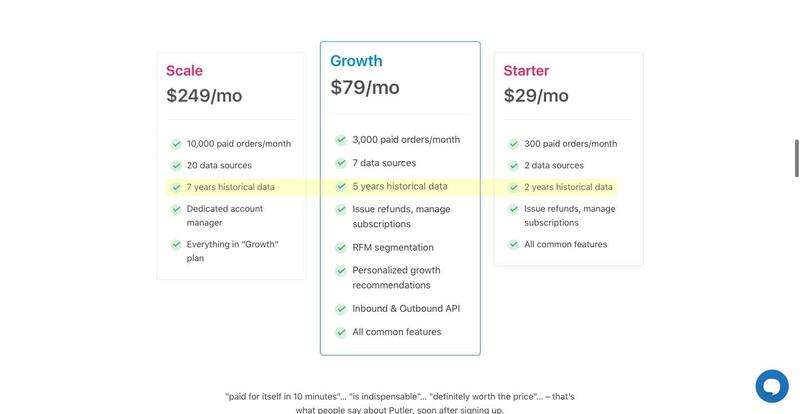 Other analytic tools like ProfitWell, Baremetrics etc only work for SaaS businesses that are defined in Stripe. Putler works both for SaaS and E-Commerce businesses. It shows more in-depth reports and not just SaaS metrics. No Stripe? Multiple gateways? No problem! Most business reporting solutions integrate only with Stripe. Most don’t work well with PayPal. Even when they integrate, it’s only a few platforms. If they do Shopify or WooCommerce, that’s all they’ll understand. If they connect with Stripe or Braintree, they won’t work with PayPal or 2Checkout. Putler can consolidate data from payment gateways + eCommerce shopping systems + Google Analytics within minutes. You can aggregate all these systems in one place effortlessly – and yes, Putler will automatically merge and dedupe transactions so they’re not double counted. Inbound API that allows sending transactions from any other data source/service. Most pure-play transaction analysis systems (whether SaaS or commerce) can’t convert currencies automatically. They treat $100, €100, ¥100 and ₹100 all the same. Or they can’t distinguish between USD and CAD or AUD.. And when they do distinguish currencies, they can’t convert them based on the exchange rate on the day of the transaction to show you correct totals in your primary currency. Trust me when I say this – this is a nightmare, not just for your accountant, but also for you… You’re looking at totally wrong and incomplete numbers if your analytics solution can’t work with multiple currencies correctly. Putler automatically converts 32 global currencies and gives you accurate reports. All KPIs – sales, refunds, LTV, ARPU, MRR… – will factor in multi currency transactions automatically. The trick to effective marketing is knowing your customers well. Putler segments customer behaviour based on the recency, frequency monetary value of their purchases. Such segmentation based on recency, frequency and monetary value of customers generates better RoI on your marketing campaigns. Other analytics tools can’t even understand this, and you’d need to hire highly paid big data analysts to perform RFM segmentation on your data, but Putler does this for you ongoingly, automatically. For every customer, Putler shows their entire transaction history but also enriches their profile with additional useful information– for example, you can see a preview of your customer’s website right within Putler. And there is a lot more. 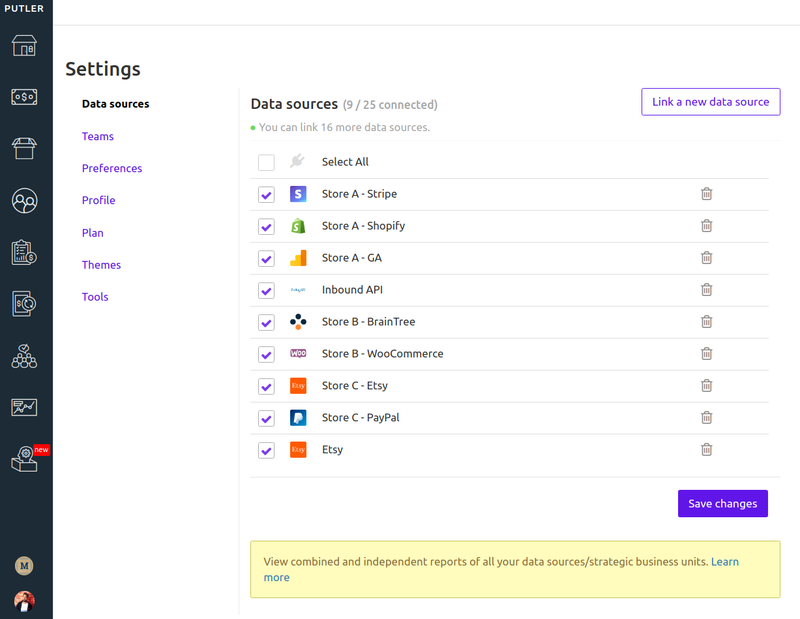 And if you want, you can export any list of customers to MailChimp or a CSV file and run further marketing campaigns. Putler is not just about numbers. It’s about putting them to right use so you grow your business. You have multiple products. You sell through multiple websites. You have side projects that make you money. Running all of that well is tough. You have to wrap your head and hands over a hundred things every day. And at times you wish you could clone yourself. Putler can help you with that.. No, not cloning yourself 😉 But tracking and managing all your businesses from a single place! Since Putler can aggregate multiple transaction sources and even web analytics, you can create multiple views within Putler to track each of your businesses. When you switch to “My Accounts” view, you will see consolidated metrics, but you can see them individually as well. Finding needle in haystack? No problem! Have you tried finding a transaction on PayPal? Or in your ecommerce system when you only have partial information about the customer or order? You are wasting a lot of productive time looking for orders and customer information every day, without even realizing it. Putler’s search is not only more effective but also a lot faster than others. As a matter of fact, Putler’s search is 12 times faster than PayPal! Even when you’re just looking for some important number, or want to find out sales performance of a product. Or when you want to look up order history of a customer.. Putler puts all fragmented data into logical places so you can find what you want instantly. Time savings in day to day operations alone are worth the monthly fee for Putler! You’ve got to try it to experience it! Putler has an intuitive search. Making it easier, faster and allowing even partial searches. 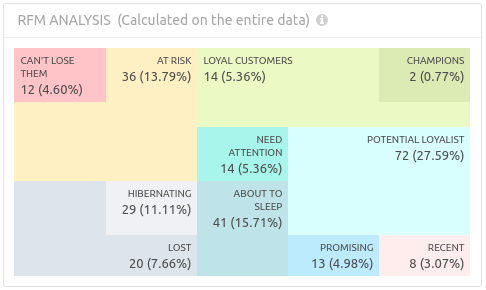 Do you realize most analytics show you wrong numbers? Google Analytics enhanced ecommerce reporting is notoriously famous for missing and double counting transactions. But even popular SaaS and ecommerce analytics tools make a lot of goof-ups. There are situations like a payment clears on payment gateway but is not reflected in your ecommerce system. Or when you refund from Stripe, and the subscription is still active in WooCommerce. And even when you create order in your commerce system, but payment is received through a bank transfer, so it never shows up on your payment gateway. For YEARS in my business, I felt like I was running as fast as I could to literally stay in the same place. After one look at Putler’s dashboard, I had instant clarity. All my different streams of income, all those website sales, it’s all in one simple dashboard. I know my conversion rate, my churn rate, and I can project exactly how my business will look in the future. Now I know exactly what it’s gonna take to grow…and it’s simpler than I thought! After months of sleepless nights and problems I couldn’t solve, I slept like a baby after trying Putler. Thank you for making something so clear and simple to use! Since Putler aggregates and automatically merges and de-duplicates transactions, you can connect Putler with all your payment processors as well as commerce systems, to get a unified and accurate view of your business. Putler will smartly identify missing information and eliminate the duplicate. Putler is the only solution that can do this kind of accurate consolidation. That makes Putler the only reliable and accurate solution for your business analytics. Don’t make big business decisions with incomplete and wrong data when you can make a smarter, better choice with complete and accurate information. Putler is not just for you. It has insights and tools that can benefit everyone you work with. Managers, marketers, support team, investors, store admins – you can invite everybody that needs to know the pulse of your business. They can view the KPIs, search for orders and customers, and if you allow, can also refund orders – or cancel subscriptions – among others. Everybody stays on the same page. Lets you delegate day to day operations and customer support. Cuts down time spent juggling between multiple tools and software. Want to grow your business? No problem, of course!! We’re building Putler to be your smart assistant!Putler will send you a weekly email with important business numbers. But also include some useful resource/suggestions so you can build a better business. Every now and then our data scientists add a new Insight report to Putler. 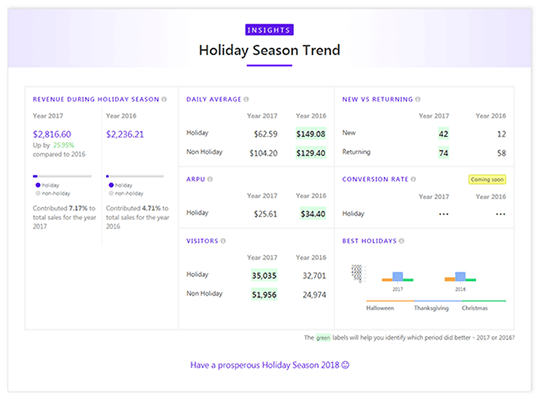 For example holiday season sales trends for your business or a way to compare all important metrics across time periods and business units. Putler’s ever-growing library of eye-opening, tailor made reports for your business will give you a different level of insight about what works and what doesn’t in your business. We even have resources and tips from experts in marketing, conversion optimization and business growth. At Putler we keep the ball rolling. We constantly add tools and reports that will grow revenue and build a better business for you. Unlike our competitors, Putler doesn’t claim a share of your profits. Our pricing is not based on how much you earn. That’s what the taxman does. Putler’s plans are based on the value we create for you. So based on features and number of data sources you connect. We also count the number of orders – but that’s to cover the server power and storage costs, because when someone has a lot of orders, we need to spend a lot more on analyze them. We want you to grow sales, make happy customers and build a better business. We want to be your friend, not a despised cost item in your profit and loss statement! That’s Putler at a glance.Now it’s upto you. So if you wish to find clarity in your business, freedom from mundane tasks and easy accessibility of all your data – give Putler a shot. Take our 14 day free trial and then decide if you would want to invest in Putler or no. Whereas, if you want to try out other tools and compare them with Putler. Here are comparison articles that will help you further.